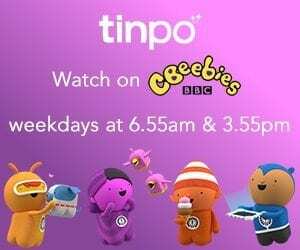 The sun made another appearance this weekend and I was so excited about being able to go out and about but unfortunately Ethan was poorly so we had to spend Saturday indoors so he could recover. 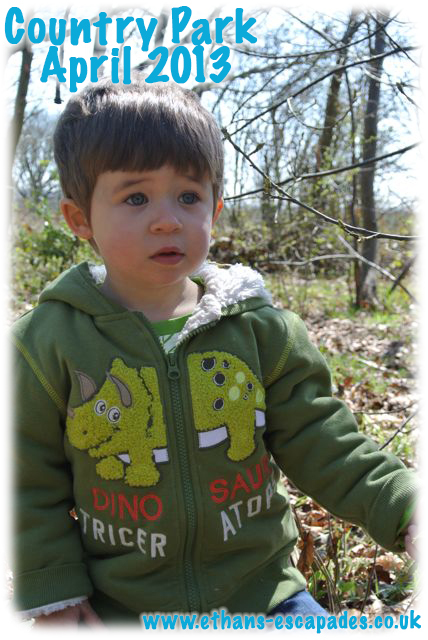 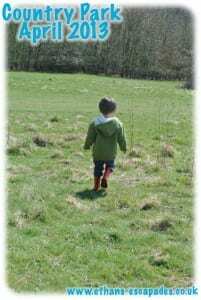 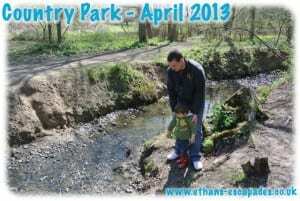 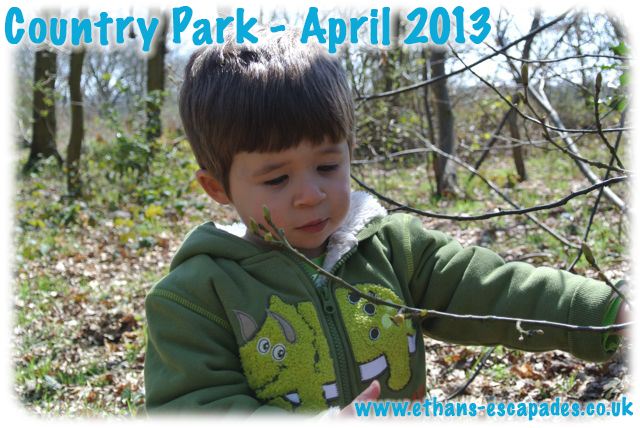 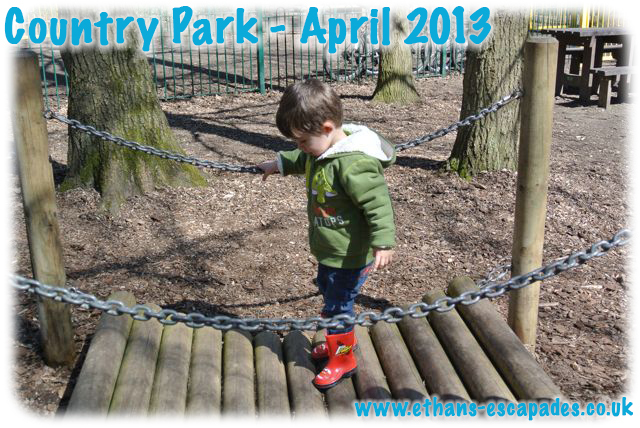 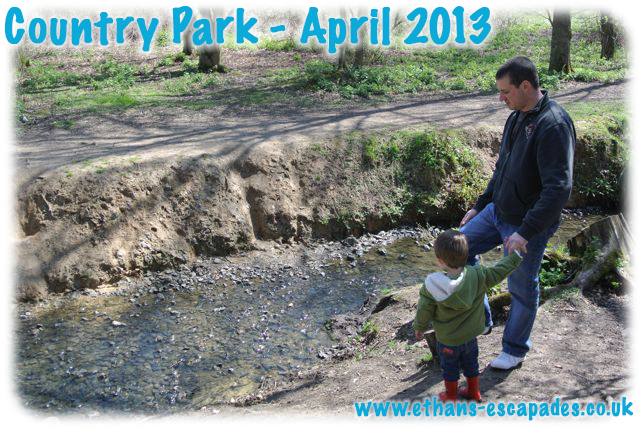 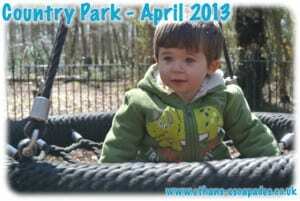 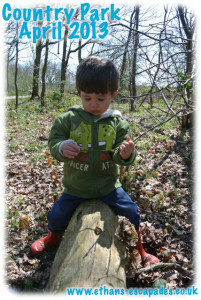 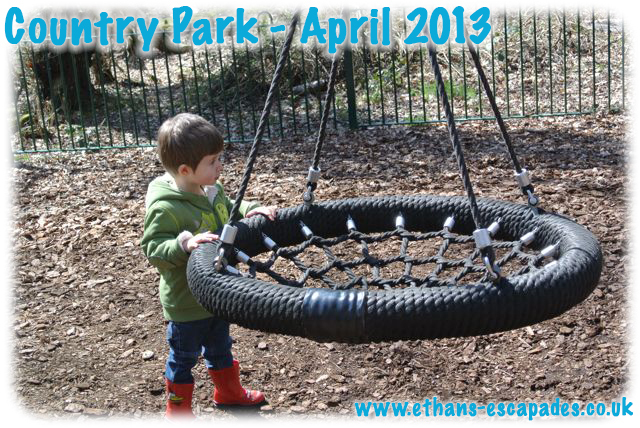 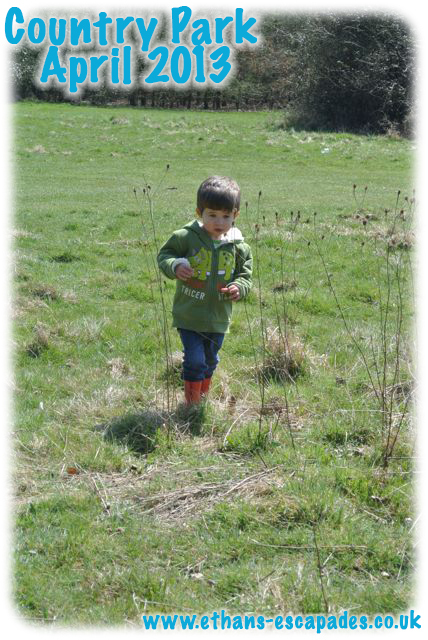 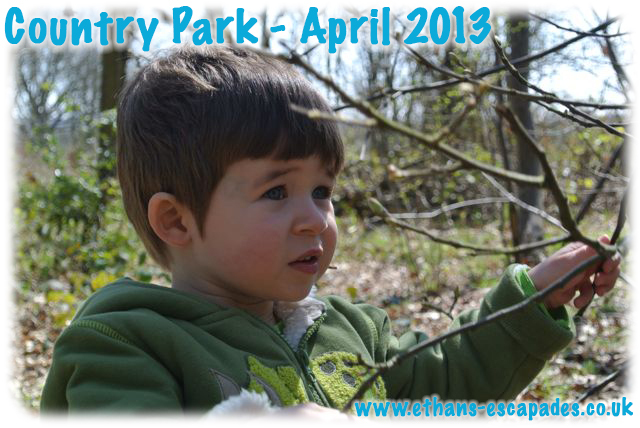 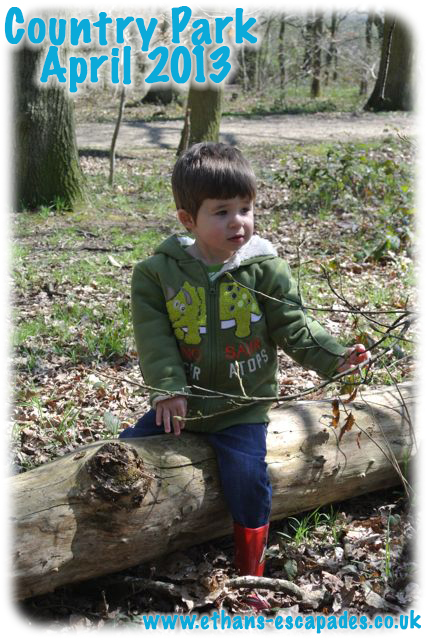 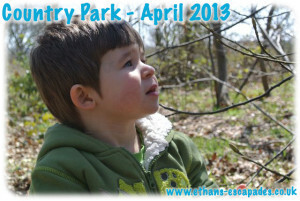 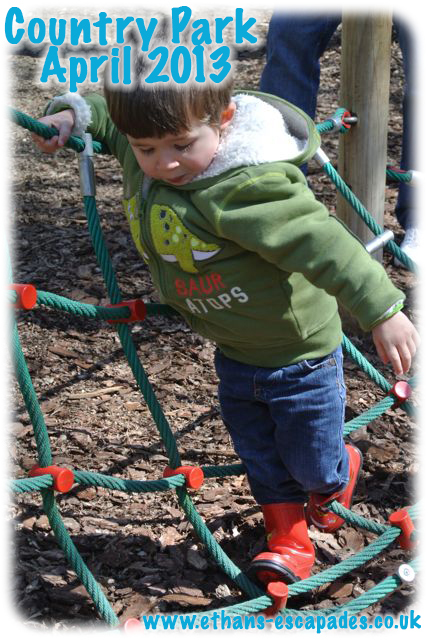 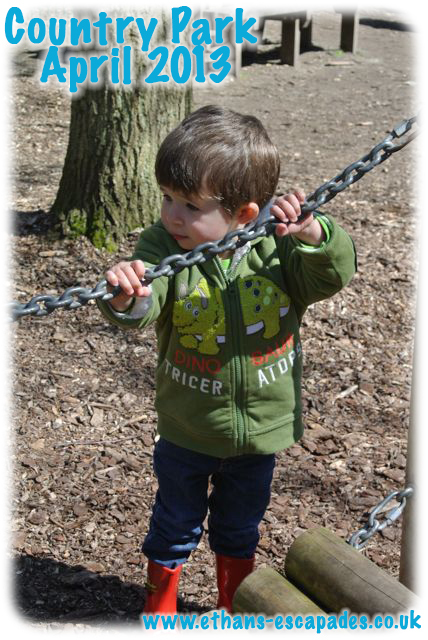 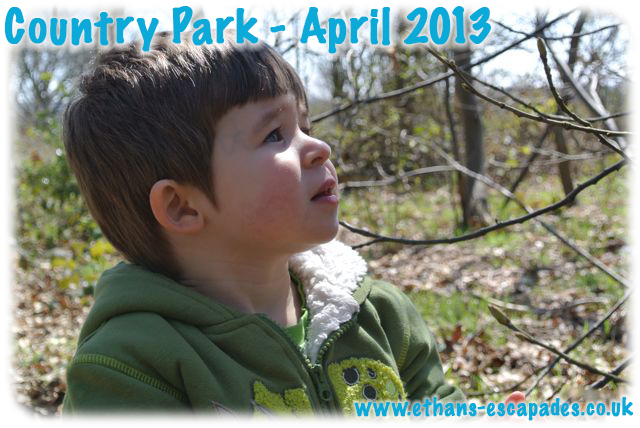 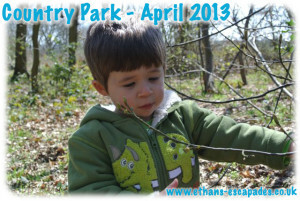 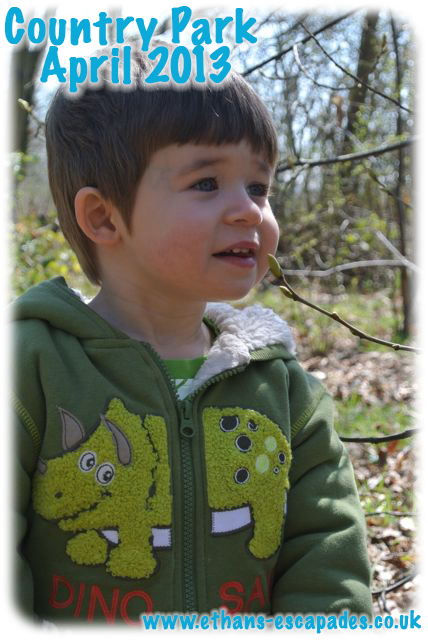 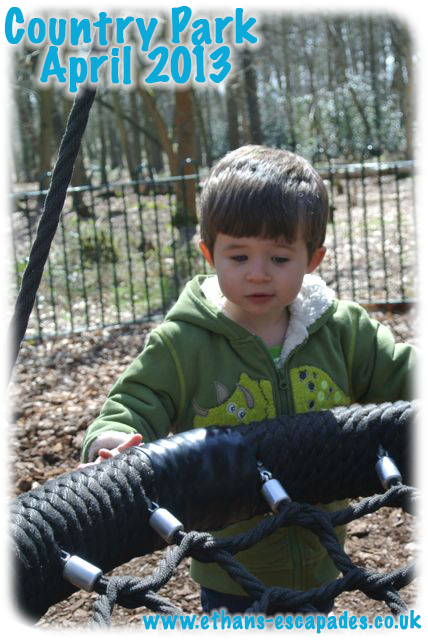 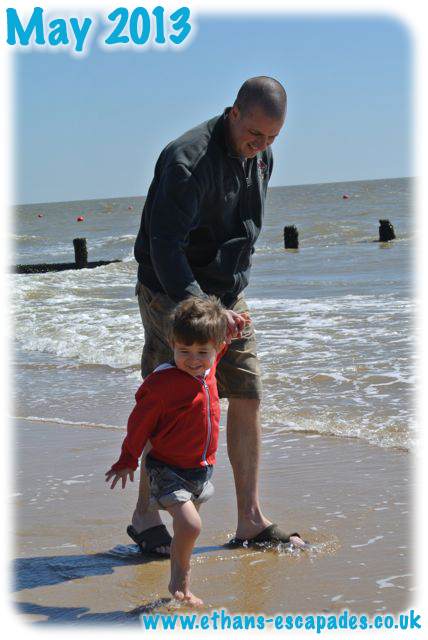 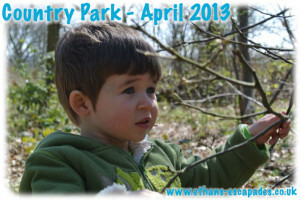 Thankfully Ethan picked up a bit by Sunday so we headed over to our country park to get some fresh air in the sunshine. Surprisingly it wasn’t as busy as we expected it to be so we let Ethan into the children’s play area first so he could explore, he headed to the swing first. 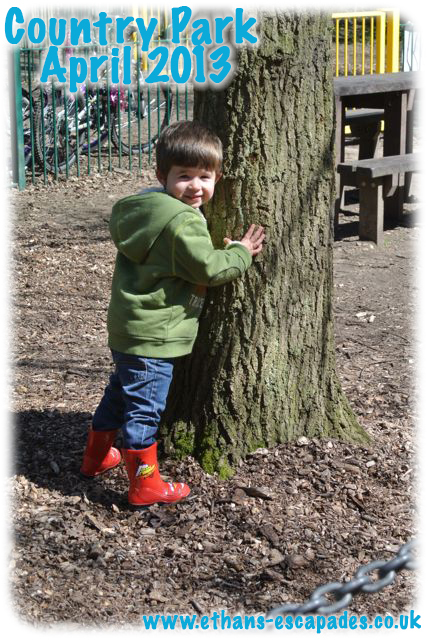 …before going off to hug the tree! 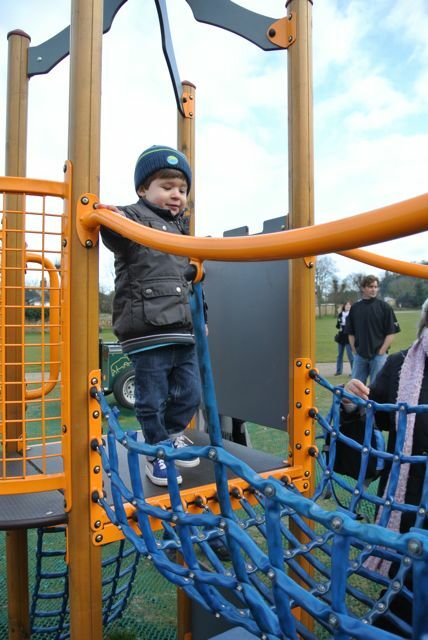 Next to the bridge is a rope section which I would say is like a mini obstacle course, Ethan had no idea what to do with this part so just climbed off at the start but there was another little girl there that climbed over it and after Ethan watched her to see what to do he was off. 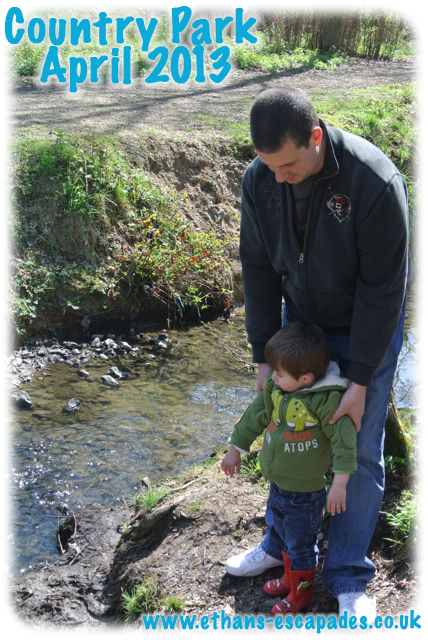 It was time to go for a walk across the fields and this time we discovered a small stream that we had to stop Ethan from jumping into. 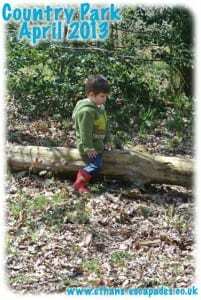 After walking Ethan’s little legs off it was time to head home but not before Ethan decided to take a rest and examine the tree branches. 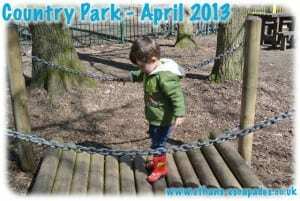 As you say, you are lucky to have such a lovely park so close. 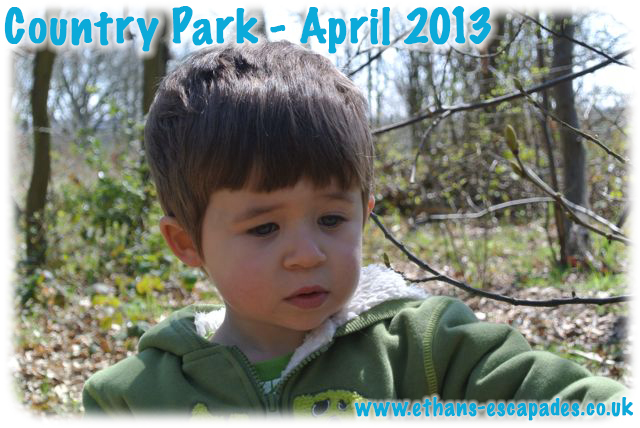 Judging by the photos Ethan had a wonderful time exploring both the park and the woodlands. 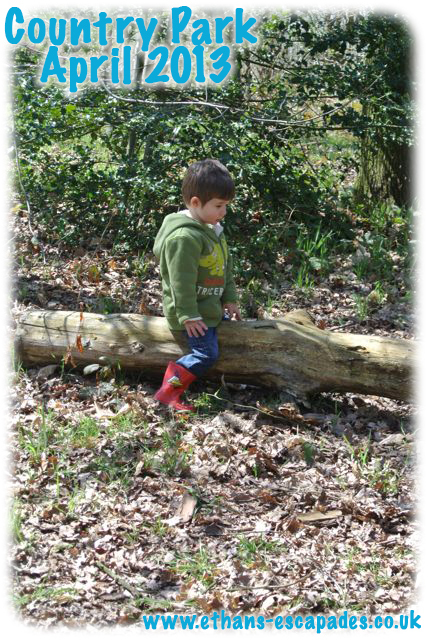 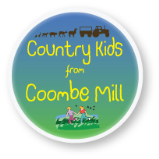 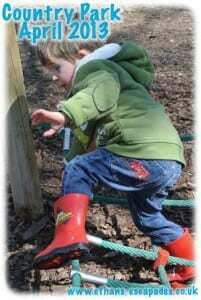 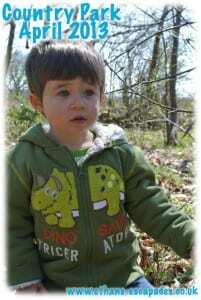 Thanks for linking up your lovely photos to Country Kids. 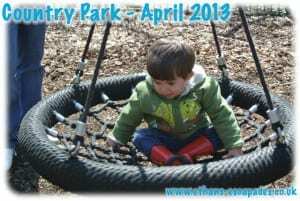 What a great park to have close to home! Roll on the summer and more time spent outdoors. 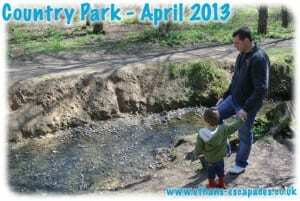 It’s great having such spaces close by. 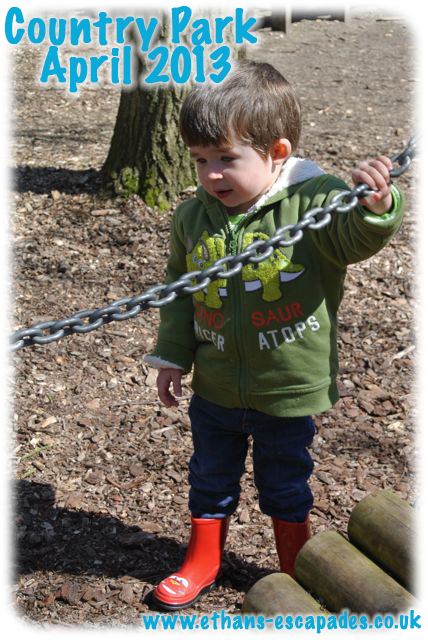 He looks so cute enjoying himself there doing a bit of exploring and figuring things out!